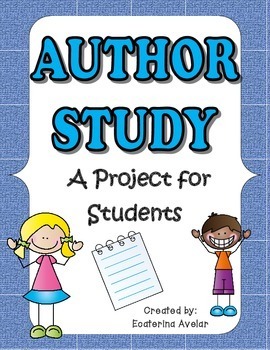 This project is great for young elementary students. 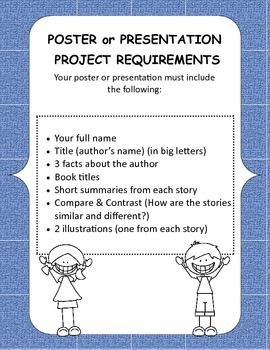 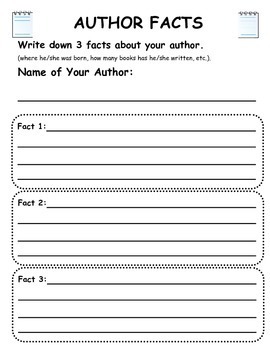 It gives students the opportunity to study an author, research the author's background, read 2 of the published works by the author, compare/contrast the stories, and create a poster (or other presentable project) that students can present to the class. 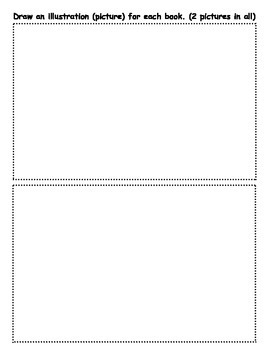 Also includes a grading rubric.